With a title like Disney Battle Mode Heroes, one can be forgiven for thinking that it is just another fighting game. However this is actually a mobile RPG that requires thinking and strategy. The goal is to collect some of the most popular characters from Pixar and Disney, but there developer PerBlue has added a twist to this. The twist here is that the characters you will collect like Wreck It Ralph, Sully, and Buzz Light year are also the ones you have to fight. The reason is these characters are being possessed by some kind of shadow energy. Fighting these characters and defeating them allows you to get the items required to unlock these characters and include them in your group. The plot is simple yes, but it does not take away from the fact this is an enjoyable game. The game mechanics are sound and easy to get into. You can interact in the battles in various ways, and your power rating goes up or down depending on a number of factors like the number of characters in your party, gear quality and character level. You also have a lot of tasks to consider such as starting missions, fitting gear and choosing party members for missions. Another goal is to make certain you spend currency on the right items so you can progress. The more you play the faster you can progress and collect characters. 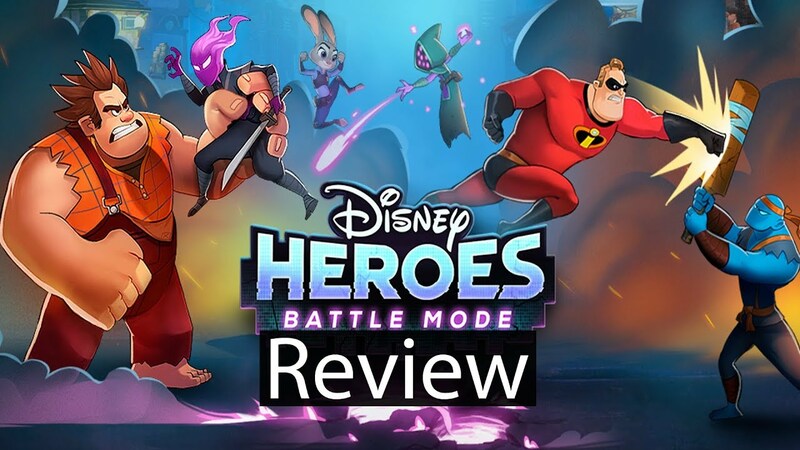 While Disney Battle Mode Heroes does not reinvent the wheel, it is entertaining and suited for those who want a simple RPG mobile game.